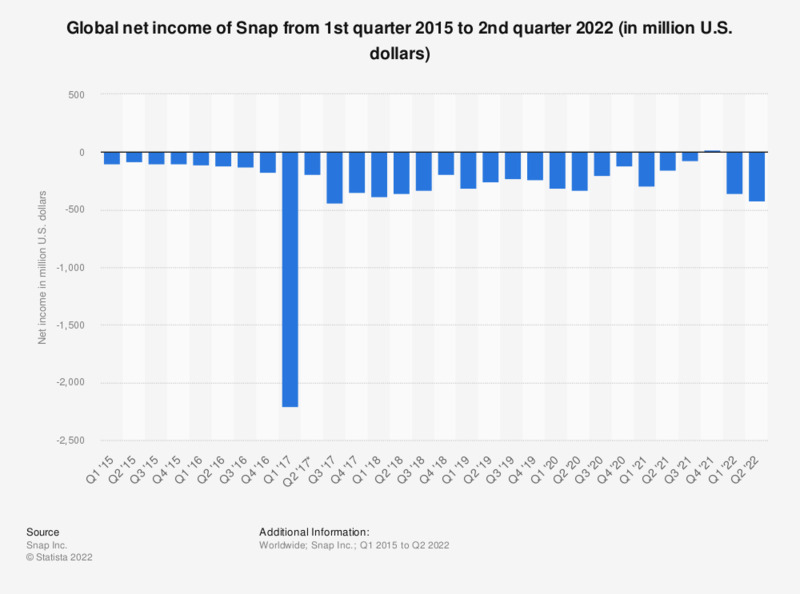 This statistic presents the quarterly net loss of mobile messaging platform Snap. As of the fourth quarter of 2018, the chat app company had generated over 191 million U.S. dollars in losses, a decrease from 325 million U.S. dollars of losses in the previous quarter. Women: How much do you agree with the statement that you like share your daily activities with others on social media (miles run, etc. )?